The Communities That Care (CTC) Youth Survey belongs to the Center for Substance Abuse Prevention in the office of the United States Government’s Substance Abuse and Mental Health Services Administration (SAMHSA). This youth community survey is a questionnaire for use by community coalitions that uses the risk and protective factor model approach to assess youth problem behaviors, such as violence, delinquency, school dropout and substance abuse. The CTC Youth Survey was developed by Drs. J. David Hawkins and Richard Catalano at the University of Washington’s Social Development Research Group. 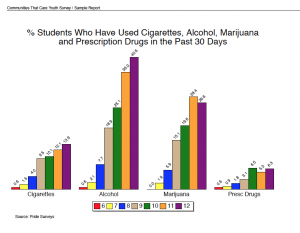 The CTC youth risk survey offered by Pride Surveys is an exact replica of the original, with the addition of SAMHSA’s new Core Measures, required by the Drug-Free Communities Grant effective February 2013. While the survey questions are in the public domain and available for anyone to use, Pride Surveys performs scoring and analysis of your data to provide you with detailed reports within two weeks after completed surveys are received in our processing center. In addition, sites that administered the CTC Youth Survey previously offered by the Channing Bete Company can continue to collect data using our youth community survey. To find out the many benefits of conducting student questionnaires like our community risk survey, speak with our team today at (800) 279-6361. You can also browse our full selection of survey products or read survey testimonials from professionals like you for more information. 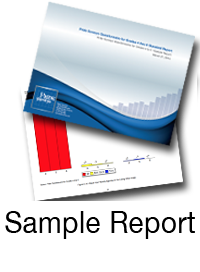 Ready to order our youth risk behavior questionnaire? 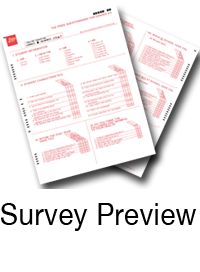 Pride Surveys makes it simple – call our team at (800) 279-6361 or submit our convenient online form to order now!